Whether hiking on a trail or walking through the city, you know that you should stay hydrated. It is always a good idea to have a water bottle along. 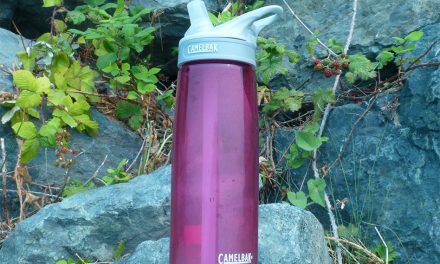 The Camelbak Eddy water bottle design makes drinking water quick and easy. The clever bite valve lets you just flip and sip, and since you don’t have to tilt your head back, you can keep on moving. In warm climates water bottles sweat and water condenses on the bottle leaving your pack or bag wet. The insulated Eddy water bottle from Camelbak solves that problem. It also means the water stays cooler. It is a simple design that works really well. 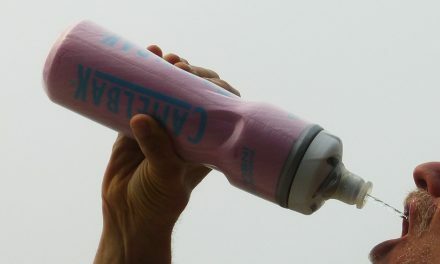 Camelbak has also recently improved the bite valve design to make it work even better. We always have our Eddy bottles close by. At home, we use them to help us to remember to keep up on our water intake. When we are traveling, we rely on them so that fresh water is always available. We like that these bottles don’t make the water taste like plastic and they are easy to keep clean. They come in lots of stunning colors too! Camelbak sells a cleaning kit and you can also easily replace the bite valves and straws with an inexpensive replacement kit. We buy ours on Amazon, but you may be also be able to find them locally in the U.S. Sometimes the mart stores carry them. 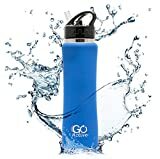 Premium Engineered Solutions Temp Saver Stainless Steel Vacuum Insulated Wide Mouth Double Wall Water Bottle with Straw Cap, 34 oz. 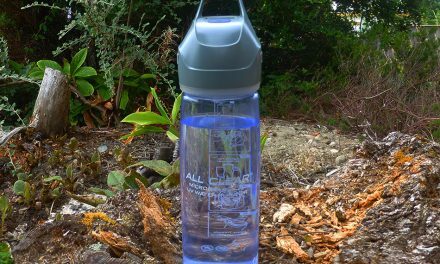 Summary Easy sipping in a no sweat water bottle that keeps your water cool and tasty.